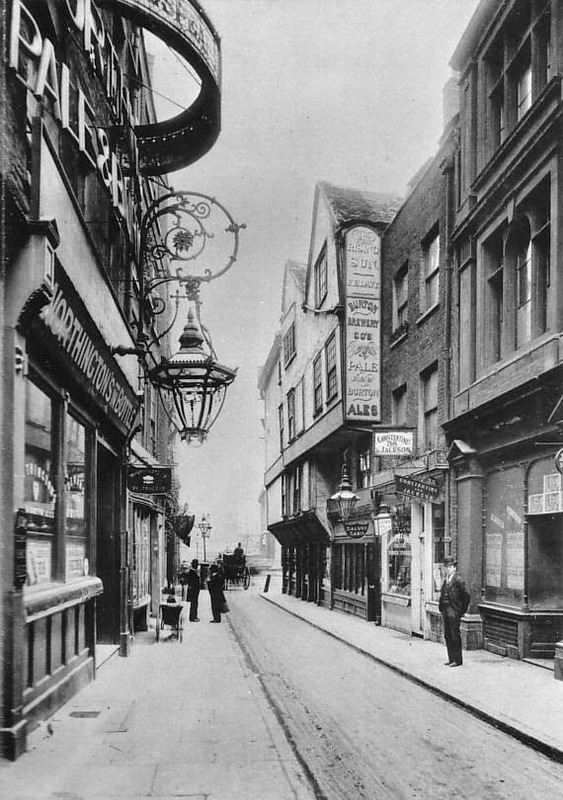 Wych Street, London, at the end of the 19th century (Bishopsgate Institute). 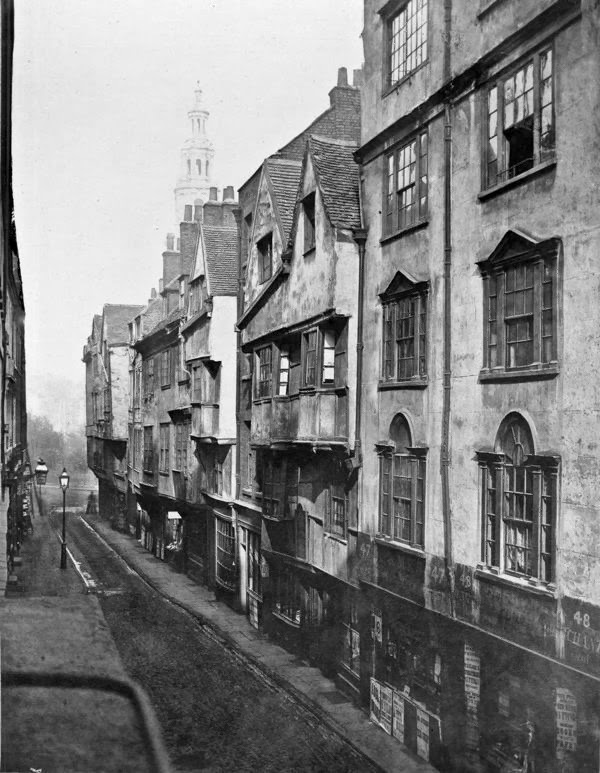 Photo taken by the Society for Photographing the Relics of Old London. Wych Street was a medieval street in London. The area was not affected by the Great Fire of London in 1666. It was considered by many to be the most picturesque street in London and an important relic of London's medieval past. Today the whole street has disappeared; it was demolished by the London County Council as part of the redevelopment of the area which created the Kingsway Road (thereby destroying over 600 historic buildings in total). 1901 postcard of Wych Street, shortly before its demolition. and unfortunately the destruction goes on . . . do you ever read spitalfieldslife.com ? No, not until now. It looks like a varied and interesting site (and with lots of pictures, which I also appreciate). Thanks for the tip! Wow, very sad, and all this happened well before the Blitz.